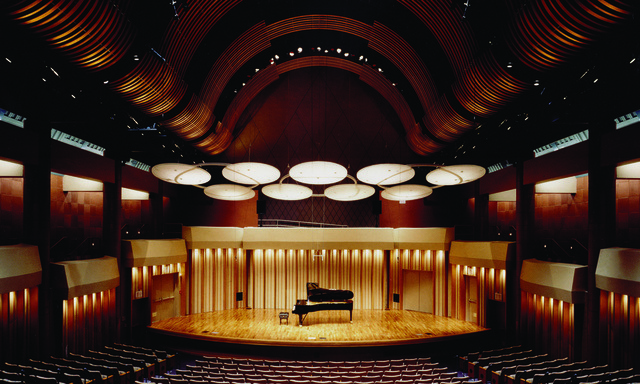 The Colburn School is the main venue of the 2015 International Horn Symposium. Almost all events will be taking place at or near Colburn. Colburn is easily accessible via public transportation (METRO and DASH) and is located exactly 1 mile from Union Station/Airport Flyaway. The Colburn School is a world-class performing arts school where a renowned faculty provides instruction in music, dance, and drama to dedicated students of all ages. Since 1950, the school has equipped students with the skills, support, and opportunity needed to achieve their highest, artistic goals. The school's state of-the-art campus is located in the 'heart-of-art' of downtown Los Angeles, neighboring Walt Disney Concert Hall, the Music Center, the Museum of Contemporary Art (MOCA), and the new Broad Museum. Colburn has five divisions designed to reach students at every level of their development: Their community school (School of Performing Arts), pre-college music and dance division (The Academy), a degree granting music conservatory (Conservatory of Music), a dance school (Trudl Zipper Dance Institute), and an adult education division (Adult Studies) are all exemplary in their fields of instruction. Performance Spaces include: Zipper Hall, Thayer Hall, Mayman Hall, Grand Rehearsal Hall, and Olive Rehearsal Hall.